There are things you learn at home, others at school, others at work and there are things you learn the hard way, like we did this week. We learned that 1 pound equals 0,45359 kilograms and it hit us economically in a way that is especially severe for a startups like us. The coffee farmer put her sale price in dollars ($) per pounds (lb). Our system converted $ to €. 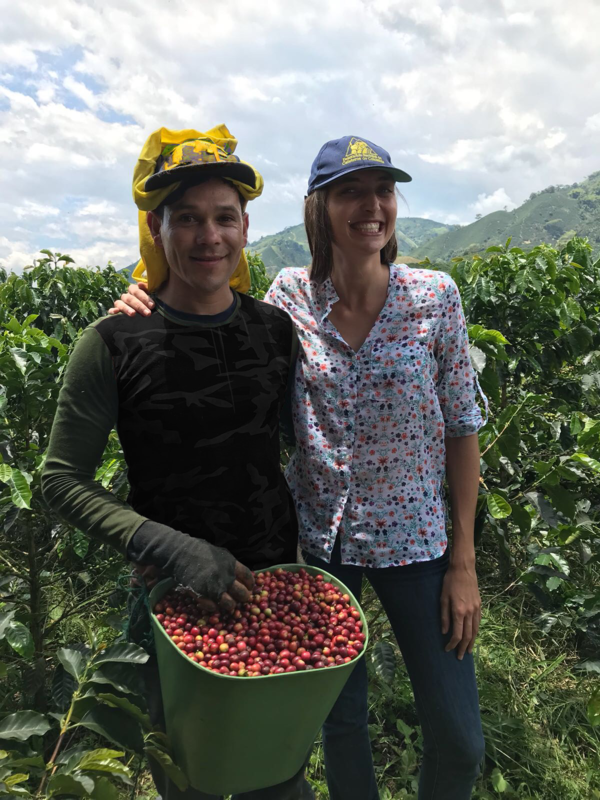 Everything seemed to work according to plan and everyone was happy: The coffee farmer was delighted to have access to a new sales channel to the final consumer, the CrowdFarmers were looking forward to their adoption and harvest and our team was very satisfied to have triumphed in launching the first CrowdFarming project with a Farmer from Colombia after having dreamed about it for almost a year. However, on Tuesday morning we received an email from the farmer and we discovered that we committed a small error that had big consequences. She and her family were very happy with the success of the project. But at the same time they were surprised and intrigued and asked us. -"How do you youngsters make a living from this?” they asked us in the email. Hold on a second. Emergency meeting with the whole CrowdFarming team. Eventually our programmer found the answer for the question of the coffee farmer that had already given us a bad feeling in our stomachs. That’s a fine mess. There are big multinational companies that can allow themselves such things, but we, a team of 15 young people, definitely not. The first question that naturally occurs to the human mind is “Who is to blame for this? But we are a family and there are no scapegoats, because honestly, they don’t exist. And furthermore, would it help to blame anyone? Moving on to the next question, which is indeed a typical one for startups. Brainstorming. Everybody think hard of a any brilliant idea. Option rejected. We are a young, recently established project. We are putting our image, our transparency on the line and this is invaluable. While we continue with brainstorming, our programmers area already coding. After many ideas and suggestions we agreed on the only possible solution: Continue working and making Crowdfarming succeed. It hurts us quite a bit. But we continue with this coffee and all the other projects and in a year from now we will remember this as an anecdote. An very expensive one. So, here we are, smarter than before. Lesson learnt: 1 pound = 0,45359 kilograms.